Hajime Tabata, director of Final Fantasy XV, has confirmed at the Tokyo Game Show that he and his team will continue to work on the development of Final Fantasy XV during 2018. That is, they will create more content for the game during the next year expanding the original plans of updates that had been planned originally. 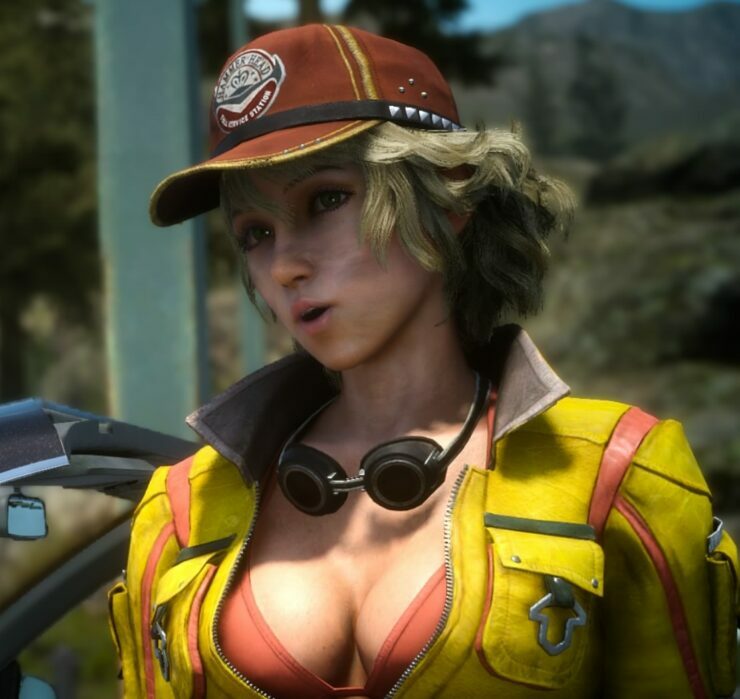 According to Tabata, they have decided to listen to all the requests from the public and, therefore, they will thus develop more content for the video game to further enrich the world of Final Fantasy XV. Thus, although it was expected that “Episode Ignis” of Final Fantasy XV would be the last additional content for the game, the team has decided that they will generate more content for the role-playing title during 2018. Check the latest Final Fantasy XV Active Time Report below (translated on Reddit). This may be the very last ATR, but it hasn’t been finalized. COMRADES will offer 2 modes, multiplayer and singleplayer content. In multiplayer you can play with bots. Singleplayer, you will be set in Lestallum and you will be able to enjoy it as a RPG-like game. The story is set when Noctis is missing and you will play as a Glaive during this time. Set in the World of Darkness, your goal is to collect meteor shard to power up power stations to provide electricity to other areas. You progress as you connect the power line and as you do so, you also unlock perks for your character. By completing quests, you can get items to upgrade your weapons. This aspect is a lot more expanded than the main game. You can rescue NPC’s and have them settle in the town. You can also set an NPC to be the leader of the town, with each NPC Leader providing different perks. Sigils of the Kings – will provide different perks and give each player a certain role. Example, tanks and healers. Each Sigil will also provide different skills, such as ”Jump”, ”Airstep”, ”Taunt” and ”Barrier”. You can communicate by a variety of preset phrases or voice chat. Sigils can be unlocked through the story. A special skill ”Cheer” temporarily increase the parties powers. The demo was located in the abandoned Chocobo Post. Tabata again says that he understands that there are many PC only players in the world despite the small PC market in Japan. And that MODS will allow players to create their own definitive edition. With mods, you can create your own quests for example. You can set the location, the enemies and the powers etc and share them on such as the Steam workshop. This will also be available in Single and Multiplayer. In regards to the VR game, Tabata explains why he chose fishing as the main theme. Although they attempted an action type VR game with Prompto last year, they figured that it was too difficult and the current VR technology did not allow for fast paced action with combo/link attacks. It would’ve taken a lot of resources and time to develop, so they moved towards a concept that allowed players to simply enjoy the game. Monsters of the Deep is Part 1 of the VR games. They already have plans to further develop a part 2 using their new found experience with part 1. An exclusive team has been working hard to develop Episode Ignis as the front of FFXV’s last officially announced DLC. It will be filled with new information. A trailer for Episode Ignis may be available next month. Tabata and the dev team has been thinking if it’s really okay to just let it ”end” with Episode Ignis. With the survey that was done earlier this year, taking in the feedback of the players, everyone including Tabata, Ofuji and the development team thought about what they should do. FFXV has been to many different events all throughout the world and Tabata has been to each of them, meeting and talking to the fans. He asked what they liked, what they wanted and what they disliked. He thanks to all those that supported him and he says that after speaking to everyone, the biggest voice was ”Please don’t let it end there” and ”We want you to continue”. The demand for a bigger expanded story was big. Tabata wants to respond to these demands from the fans. They want to continue expanding the game through 2018 next year. He clarifies that as a company there are set plans and schedules and changing them is difficult. He apologizes that as a developer, their goal is to create new games. And he states that BD2 already has finalized their next big project, considering that, they thought about how they could balance this and continue to support FFXV next year. After after overcoming many obstacles and changing the structure of the development team, they are able to say that they are able to continue development next year. They already have plans for what to accomplish next year and that is delivering on what fans want most. They will continue to further develop the story, filling up missing information. It’s not going as far as a sequel, but it’s about the strengthening of the existing game and story. Tabata acknowledges that there were lacking aspects of the game. Not just the back stories of the characters or character development, but also with the world and lore as the world itself has a story of its own. They have received much feedback on these fronts as well as in the survey and they worked hard until now to create a development structure to be able to deliver with everything we got. And again now, they are able to say, that this will be happening. With the next update including story upgrades, it is based on the Summons. And this is just part 1 of the updates to come hereon. In the update will also include a connection to Episode Ignis that Tabata thinks is a very important part of the story that players should know. With that, they will continue to develop the world and its characters in FFXV next year. Probably within this year, they will announce the roadmap of what they want to do next year. Note; Tabata used the phrase ”一年間’’ a lot, which means ”throughout the year”. Which may incline that they have plans to possibly continue development for an entire whole year. He could have instead used ”来年’’ (next year) instead of the former. Final Fantasy XV is already available on PlayStation 4 and Xbox One. Final Fantasy 15 Windows Edition will arrive on PC in Early 2018. The company is also working on a mobile version of the game and evaluating a possible version for the Nintendo Switch.